recommended for: Fans of The Accident Season by Moira Fowley-Doyle, We Were Liars by E. Lockhart, or other mysterious, quasi-magical family dramas with a touch of mystery. Over the course of one night, while stuck at a party deep in the New England woods, Andrew battles both the pain of his past and the isolation of his present. Before the sun rises, he'll either surrender his sanity to the wild darkness inside his mind or make peace with the most elemental of truths-that choosing to live can mean so much more than not dying. Hey, guys! Um, in case you hadn't noticed, I've been pretty MIA recently. In any time future (might as well warn you now) until my dissertation is done, my disappearance can be attributed to working long hours, probably making myself physically ill from eating too erratically and sleeping too little and worrying too constantly, and general anxiety paralysis. However, since I love and miss you all, I'm going to try to make blogging a less-stressful escape from the Dissertation with a capital D. So I'll be playing with some shorter formats until my brain is restored to its usual semi-functionality. I have added three separate books by Stephanie Kuehn to my TBR without realizing they're all the same author. Possibly because her name is hard to spell and they were like a year apart. Trust me, I won't be making that mistake again. Which is why I thought this was going in a totally different direction and was disappointed in said direction, but then it didn't go in that direction and I was super pleased and gratified. It's about a kid who's gone through something clearly traumatic, and is trying to deal with it in the confines of a rich kid boarding school. Also he thinks he's going to turn into a wolf. You find this out pretty early on so I don't count this a spoiler. Whether or not it's true is another matter entirely. There's a murder. I won't tell you when it happens, though. It may or may not be important. There are drunk parties on mountainsides. I was seriously a boring high school kid, yo. Win and the other characters are so easy to believe. They feel like real people in a slightly elevated, magical way. Like extra-real people. They're full and flawed and emotional and they actually act like teenagers, which is always refreshing. Win's best friend is a delightfully endearing jackass. The girl he meets and sort of befriends is gritty and not typically girlish and grunty, which is so nice to see after encountering a slew of manicpixiedreamgirls in other books. Win's cousins are eerie and you know something's up with them, but also they could just be spoiled rich kids. The bouncing back between family drama and boarding school murder mystery keeps you on your toes. I felt like a detective, gathering clues! 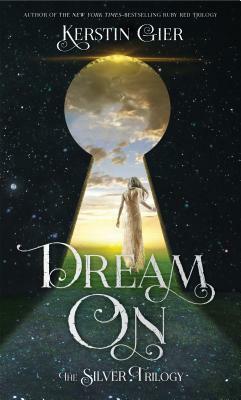 The atmosphere is much more magical realism than gumshoe genre whatever, which just makes it extra pretty and literary. The hinge is really Kuehn's writing. Oh my dear GOD if only I could write the way this woman does! Her prose is passionate and punchy and doesn't use too many adjectives but when it does, BAM, you feel it right in the gut. It's the kind of prose that makes me end up dog-ear-ing half the pages because of some soul-shattering quote or another. The ranking would be higher if not for the weird plot thing that I thought was going to happen, which made me kind of nervous for half the book. Also not everything gets a 5. But it's a solid and awe-inspiring 4. It's short, too, so you could totally knock it out in a whirlwind afternoon. It's a beautiful, sinister adventure that demands to be FELT. 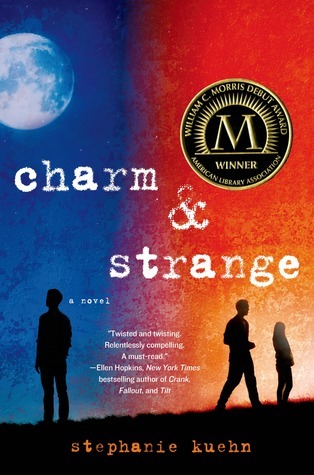 Charm & Strange is a mysterious coming-of-age story about two different people who happen to be one boy, and the fine art of trying to reconcile a fraught past with an uncertain future.